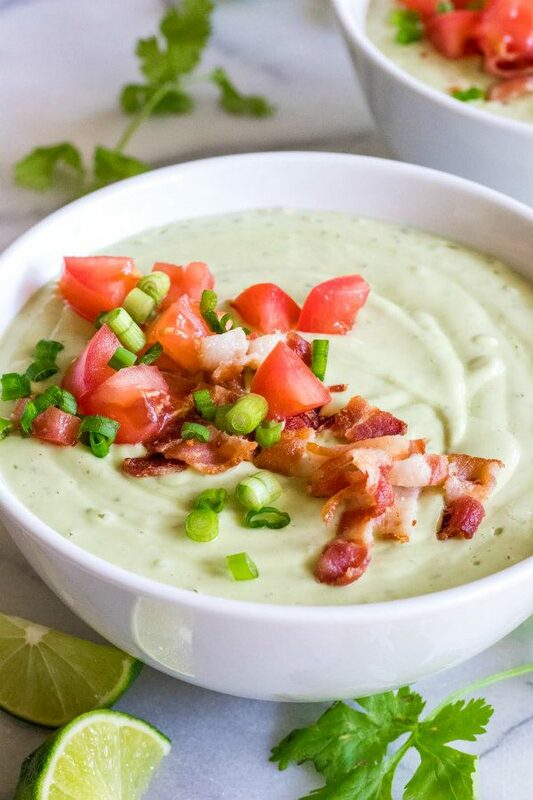 When it’s hot outside but you’d still like to eat soup, try making this Chilled Avocado Soup. Watch the video showing you how to make Chilled Avocado Soup, then scroll to the bottom of of this post and print out the recipe to make it at home. Chilled soup is nothing new. I remember it being kind of a gourmet thing that people were trying in the 70’s. In the 80’s, I was a guest in my college boyfriend’s parent’s home. His parents were kind of hippie and eccentric, and they lived in the hills of Berkeley, CA. His Mom served Chilled Avocado Soup at our first meal together. I remember thinking it was cool and weird and delicious all at the same time. 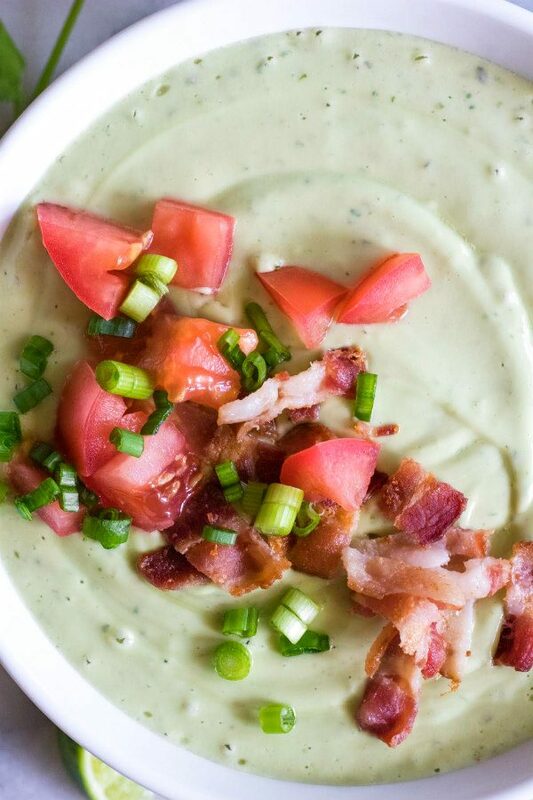 This Chilled Avocado Soup is everything you’re thinking it might be. 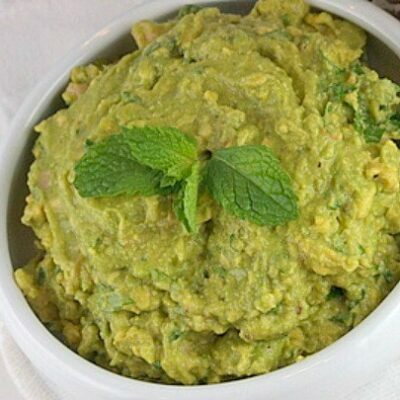 Avocados are blended with chicken or vegetable broth, sour cream, cilantro, lime and a little bit of Tabasco sauce. The texture is velvety, and the taste is so incredibly good. It’s topped with chopped tomato, green onions and crisp bacon. I’m obsessed with this soup. 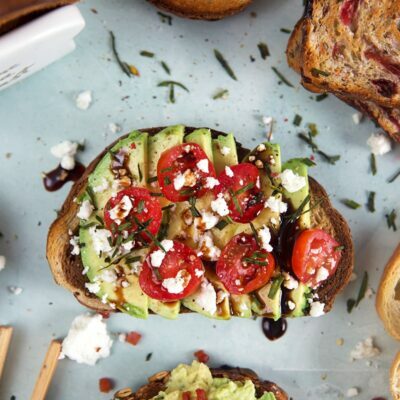 With every bite of that avocado deliciousness, you get to grab a piece of tomato and bacon to go with it. Another great thing about this soup is that you don’t need to turn on the stove at all. It’s completely cold and un-cooked. That makes it perfect for summer. Especially when you live in the dry heat of Arizona or the heat and humidity of the east coast. Be hippie and eccentric, and make your first chilled soup. I suggest trying this Chilled Avocado Soup! If you’re looking for more summer soup recipes, try Zucchini and Rosemary Soup or this Easy Gazpacho Recipe. Sweet Corn & Yellow Tomato Soup and Fruit Soup look pretty interesting too! 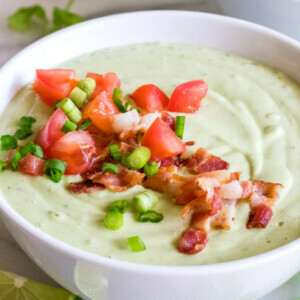 This Chilled Avocado Soup is velvety and delicious! 2 slices bacon, cooked & crumbled. In a blender or food processor, combine sour cream, avocados, cilantro, lime juice and Tabasco; blend. Add broth and blend again. Taste, and add salt and pepper, as desired. Transfer to a bowl, cover and chill until ready to serve. Spoon into bowls and garnish with tomato, green onion and bacon. *If you are preparing this recipe as GLUTEN FREE, just make sure you use brands of broth and bacon that are known to be GF. 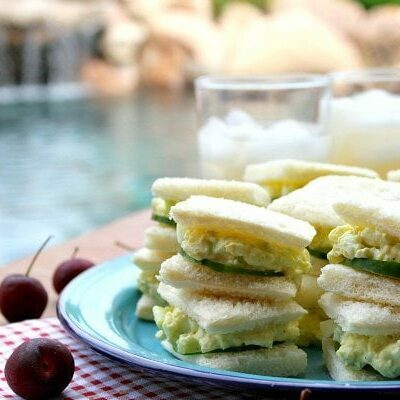 Perfect for these dog days of summer! This soup sounds wonderful. This soup was fabulous!! 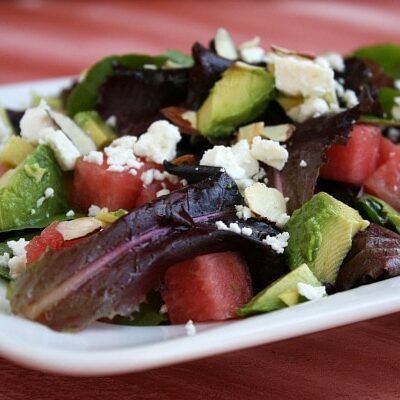 As it was hotter than Hades here in AZ yesterday, your recipe came along at the right time. I used the vegetable broth. And I used Crema (which I just happened to have) in lieu of the sour cream. Great idea with the Crema! Glad you enjoyed!